Harrisburg: The Archive Society, 1997. Hardcover. Small 4to. Blue blind-embossed paper over boards with gilt spine lettering. xvi, 577pp. All edges gilt. Frontispiece, maps, marbled endpapers. Fine. Tight, pristine facsimile reprint of the first edition (New York: The Century Co., 1897) of this Union general's memoir. NEVINS I, 156. Washington, DC: The National Tribune, 1913. Paperback. Small 8vo. Stiff green wrappers. 293pp. Color frontispiece, illustrations (1 color), 2 color maps. Very good. Minor edgewear and rubbing, mainly along head and tail of spine. Second printing, tight and clean, of this softbound-only study usually found in quite inferior condition. William T. Parrish critiques this as "Highly readable, though based largely on secondary sources; surveys the conflict through the battle of Pea Ridge." NEVINS II, 155. Kansas City, MO: Press of Hudson-Kimberly Publishing Co, 1897. Hardcover. Small 8vo. Dark green pebble-grain blind-embossed cloth with reddish-copper spine lettering. 461pp. Tissue-guarded frontispiece, decorative endpapers. Very good. Faintest of binding edgewear, though internally tight and near fine; neatly excised 2" X 1" rectangle from title page center (bearing author signature?) discreetly, archivally replaced with period stock; some stains on bottom page edges and near bottom of outer page edges (but none extending onto recto or verso of pages themselves). 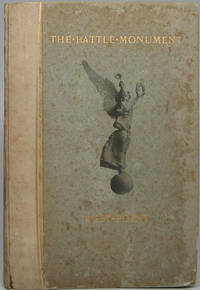 A tight, attractrive second edition of this worshipful study first published in Cincinnati in 1867. Rather uncommon. HOWES E 54. NEVINS I, 85. Bloomington: Indiana University Press, 1959. Hardcover. Introduction by Frank E. Vandiver. 8vo. Grey cloth with brown spine lettering, pictorial dust jacket. xxxi, 621pp. Frontispiece, illustrations, maps. Near fine/very good. Mild jacket edgewear. Quite tight and nice first of this "Civil War Centennial Series" edition, a facsimile reprint of the true first (1874) edition with Vandiver's new introduction. Chicago: R.S. Peale & Company, 1887. Hardcover. Small 4to. Half brown calf with gilt spine lettering and brown cloth with gilt medallion. xxi, 706pp. Tissue-guarded color frontispiece, full-page plates, marbled endpapers and page edges. Very good. Mild edgewear and corner chips, but overall attractive and internally near fine. 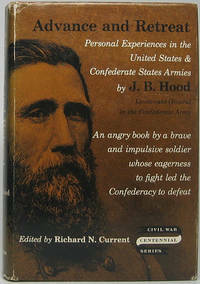 A tighty and nice first edition of this Union general's autobiography. NEVINS I, 122. Fifty Years in Camp and Field: Diary of Major-General Ethan Allen Hitchcock, U.S.A.
New York: G.P. Putnam's Sons, 1909. Hardcover. Small 4to. Green cloth with gilt spine lettering. xv, 514pp. Tissue-guarded frontispiece. Very good. Binding mildly rubbed and lightly edgeworn, though internally tight and near fine. A lovely and tight first edition of this Union general's memoir. NEVINS I, 104. New York: Doubleday & Company, 1961. Hardcover. Complete 3-volume set. Small 4to. Two-tone cloth, pictorial dust jackets. 565pp; xi, 559pp; xi, 555pp. Map endpapers, maps (some color). Near fine/very good. Varying levels of jacket edgewear, a few small edge chips, but of rubbing. A tight and attractive first edition of this classic trilogy, with fine autograph addition: Neatly tipped into the first volume is a Typed Note Signed from Catton, 1p, 5½" X 8½", New York, NY, 12 June n.y. Addressed to noted Lincoln/Civil War scholar Arnold F. Gates (1914-93). Near fine. On letterhead of "American Heritage" (where Catton served as senior editor), Catton writes: "Here is the final manuscript; the form which you sent me, all filled out, is in this envelope. I'm afraid this item just does not measure up to the other two...." Signed simply "Bruce" in his typical red ballpoint. Interesting if cryptic -- perhaps having to do with a magazine submission. E.B. Long (in Nevins' "Civil War Books") calls this "One of the outstanding literary achievements of the Centennial years; Catton here demonstrates his prodigious ability to tell a story well without neglecting detail," while David Eicher calls it "masterfully written simple history, lightly documented and sweeping in its overview of a multitude of complex events...." NEVINS II, 7. EICHER 736. Indianapolis: The Bobbs-Merrill Company, 1950. Hardcover. Complete 2-volume set. Small 4to. Grey cloth with gilt spine lettering. xxxiv, 588pp; xiv, pp. 589-1201. Frontispieces, numerous illustrations and maps, pictorial endpapers. Very good. Mild bit of edgewear. Later printing, tight and nice, of this massive anthology that E.B. Long characterizes as "Another 'reader;' well organized, with subject matter carefully chosen." NEVINS II, 8. Bloomington: Indiana University Press, 1960. Hardcover. Introduction by Frank E. Vandiver. 8vo. 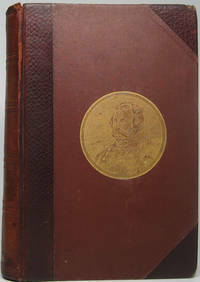 Brown cloth with silver spine lettering, pictorial dust jacket. xlviii, 496pp. Frontispiece, illustrations. Very good/very good. Some toning to top page edges; mild jacket edgewear, with spine faintly sunned; ownership signature/date on front flyleaf. 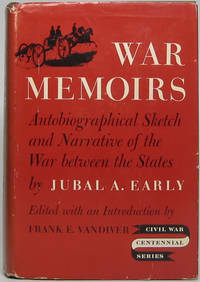 A tight and attractive first of this "Civil War Centennial Series," being a facsimile reprint of the true first (1912) edition with Vandiver's new introduction. New York: Charles Scribner's Sons, 1945. Hardcover. Complete 3-volume set. Small 4to. Black cloth with gilt lettering, pictorial dust jackets. lvi, 773pp; xlv, 760pp; xlvi, 862pp. Illustrations, numerous maps (one large foldout). Near fine/good plus. Jackets all edgeworn, with some tiny edge chips, but complete and overall fairly attractive. A tight and handsome early (not first) printing of Freeman's opus (first published 1942-44), described by Warren W. Hassler Jr. as "The ablest descriptive and evaluative study of the leading generals... massively documented, movingly written, highly authoritative, and faintly smug." Choice autograph addition: Tipped to front flyleaf of first volume is an intriguing Typed Note Signed from Freeman, 1p, 8½" X 11", Richmond, VA, 15 May 1953. Addressed to Carl Haverlin (1899-1985), a noted Lincoln/Civil War scholar and radio broadcast pioneer, president of music licensing innovator BMI (Broadcast Music, Inc.). Near fine. Faint original folds. On imprinted letterhead, Freeman writes this officer of the New York Civil War Round Table: "What a fine leader you are! The idea is admirable, the execution as you propose it is fine. Nothing is to be added to it or subtracted from it. Go with it with the thanks and blessings of...." Signed with his usual handsome if miniscule signature in black ink. Sure makes one wonder to what endeavor of Haverlin's Freeman refers! NEVINS I, 30. Bloomington: Indiana University Press, 1959. Hardcover. Edited by Richard N. Current. 8vo. Brown cloth with black spine lettering, pictorial dust jacket. xiv, 376pp. Frontispiece, 4 maps. Near fine/very good. Mild jacket edgewear; ownership signature/date on front flyleaf. First of this facsimile reprint of the 1880 true first edition of the Confederate general's memorable memoir -- tight and handsome. Tipped to the front flyleaf is a 5" X 8" glossy black-and-white publicity portrait, a reproduction of the well-known half-length portrait of Hood in uniform. 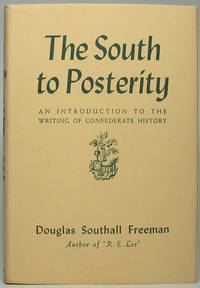 A volume in this publisher's "Civil War Centennial Series." 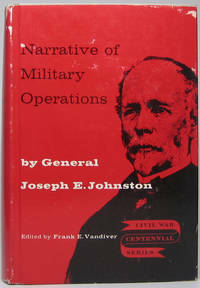 Robert W. Johannsen calls this "The controversial, sometimes bitter, memoirs of a maimed Confederate general...." NEVINS II, 65. New York: The Macmillan Company, 1930. Hardcover. 8vo. 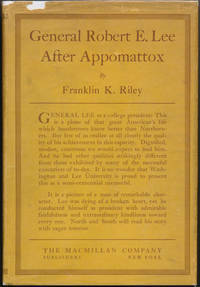 Light blue cloth with gilt spine lettering, dust jacket. xiv, 250pp. Frontispiece, illustrations. Very good/very good. Endpapers lightly age toned and spine faintly sunned; jacket a bit age toned and mildly edgeworn, with a few small edge chips, mainly along top. 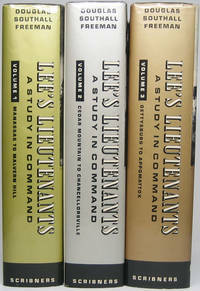 Handsome, tight first edition of this study of Lee's post-war career as college president. Quite scarce in the jacket, which is rarely seen. Nashville: Confederate Veteran, 1903. Three complete issues. Small 4to. Pp. 100-141, 485-527, 99-141. Illustrations. Good only. Fairly tight and certainly handlable, though as usual a tad delicate and rather rubbed and edgeworn, with minor edge tears. Nice grouping of three issues of this long-running monthly: March 1903 (Vol II, No. 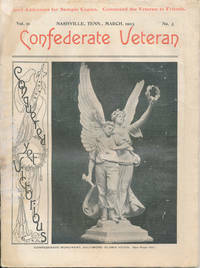 3), November 1903 (Vol. II, No. 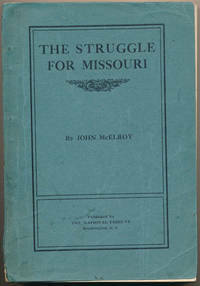 11) and March 1916 (Vol. XXIV, No. 3). Difficult to find in top collector's condition; reprint issues abound. New York: Charles Scribner's Sons, 1934. Hardcover. 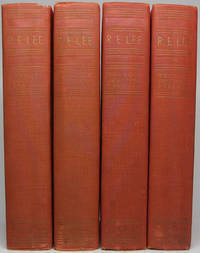 Complete 4-volume set. Small 4to. Red cloth with gilt lettering. xviii, 647pp; xi, 621pp; xi, 559pp; viii, 594pp. Frontispieces, illustrations, maps (one folding). Very good. Mild binding edgewear and spines faintly sunned, else internally fine and tight. ; ownership signature on front flyleaves. 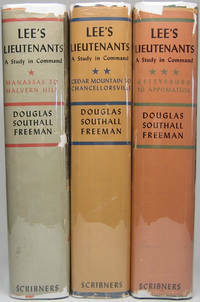 Handsome set of Freeman's great quartette -- Volumes I and II are early printings, Volumes III and IV are first editions. Choice autograph addition: Tipped to front flyleaf of first volume is a nice content folded Typed Letter Signed from Freeman, 1p, 8½" X 11", Richmond, VA, 3 July 1952. Addressed to Carl Haverlin (1899-1985), a noted Lincoln/Civil War scholar and radio broadcast pioneer, president of music licensing innovator BMI (Broadcast Music, Inc.). Very good. On imprinted letterhead, Freeman commends this New York Civil War Round Table officer. In part: "I congratulate you on your fine work as president of the Civil War Round Table in New York, and I wish very much I might have been able to contribute a finished text for publication and distribution among your members. The plain truth is, I speak so differently from the way I write that when I have to take a manuscript of a speech and turn it into prose to be read rather than heard, I have, in effect, to rewrite it. This involves more labor than I am able to perform. It is for this reason, primarily, that I stipulate, when I think of it in advance, that I shall not be called upon to revise the text of speeches...." "Boldly signed with his usual lovely miniscule signature in black ink. A sharp set with a great author letter. New York: D. Appleton and Company, 1885. Hardcover. Introduction by James Harrison Wilson. Small 8vo. Burgundy cloth with gilt lettering. xxviii, 511pp. Tissue-guarded frontispiece. Very good. Mild edgewear and bit of rubbing; perhaps belonging to some regimental library at some point, for "5th Signal" is inkstamped neatly on front and rear inner flyleaf. A tight and decent first edition of this study of the versatile and highly-regarded Union officer and strategist who authored the influential "Military Policy of the United States." Quite scarce. NEVINS I, 130. New York: Harper & Brothers, 1884. Hardcover. Complete 2-volume set. Green pebble-grain cloth with gilt lettering. xvii, 594pp; xvi, 691pp, 12pp ads. Tissue-guarded frontispieces, illustrations, maps. Good plus. Bindings edgeworn, with some spotting and small discolorations and on Volume II chips at head and tail of spine; delicate inner hinges expertly, archivally strengthened, thus tight; text blocks moderately age toned. Decent, serviceable first edition of what Robert W. Johannsen critiqued as "highly laudatory of its subject and highly critical of Beauregard's enemies; the General himself penned a good part of the text." Rather uncommon. NEVINS II, 86. New York: Charles Scribner's Sons, n.y.. Hardcover. 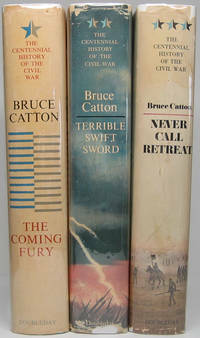 Complete 3-volume set. Small 4to. Black cloth with gilt lettering, pictorial dust jackets. lvi, 773pp; xlv, 760pp; xlvi, 862pp. Illustrations, numerous maps (one large foldout). Fine/near fine. A tight and handsome much later printing (undated, but likely 1970s vintage) of Freeman's 1942-44 opus, described by Warren W. Hassler Jr. as "The ablest descriptive and evaluative study of the leading generals... massively documented, movingly written, highly authoritative, and faintly smug." Choice autograph addition: Tipped to front flyleaf of first volume is a Typed Note Signed from Freeman, 1p, 8½" X 11", Richmond, VA, 6 December 1950. Addressed to Carl Haverlin (1899-1985), a noted Lincoln/Civil War scholar and radio broadcast pioneer, president of music licensing innovator BMI (Broadcast Music, Inc.). Near fine. Faint original folds. On imprinted letterhead, Freeman writes this officer of the New York Civil War Round Table: "I congratulate you on starting a New York chapter of the Civil War Round Table, and as I come to New York frequently, I hope sometime to have the pleasure of attending...." Signed with his usual tiny but bold signature in black ink. NEVINS I, 30. West Point, NY: The De Vinne Press, 1898. Hardcover. Small 4to. Quarter linen spine and green paper over boards with gilt lettering. 237pp. Top edge gilt. Tissue-guarded frontispiece, 21 full-page called-for plates. Good plus. Binding is edgeworn, rather rubbed and age toned, with spine rough and age toned but complete and tight; other than age toned endpapers and touch of dampstaining to some plates the text block is clean and nice. 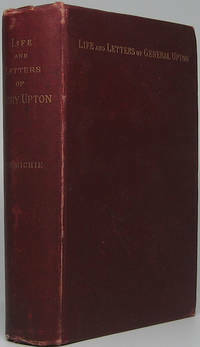 A tight and decent first edition, limited to 1,000 copies. Unlike most copies, NOT ex-library. Rather uncommon. Garden City: Doubleday & Company, 1956. Hardcover. 8vo. Blue cloth with red spine lettering, pictorial dust jacket. 320pp. Map endpapers. Good plus/very good. Minor jacket edgewear; binding spine spotty and discolored, else internally tight and near fine. Early (not first) printing, tight and decent. Civil War fiction about Sherman's march and the burning of Atlanta, boldly signed by Brick in blue ballpoint on inner front flyleaf. Fun, cheesy jacket art.